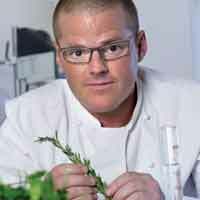 Heston Blumental has been in the news over the weekend with two interesting stories. Firstly, it’s been announced that he will be cooking for the Queen at a special banquet at Windsor Castle this Thursday, in which guests will be served a starter which looks like a bowl of fruits, but will actually be sweetmeats. Also, he has just unveiled the name of his highly anticipated London restaurant at the Mandarin Oriental hotel which will be called Dinner by Heston Blumenthal. The kitchen will be headed up by the Fat Duck group executive chef Ashley Palmer-Watts.